Review: Wakuli – Abakundakawa Rusashi. Beans: Wakuli, Bourbon, Jackson, Mbezi, Gakenke, Rwanda. Shop: Wakuli, webshop, The Hague, The Netherlands. Wakuli – Abakundakawa Rusashi: Background information. 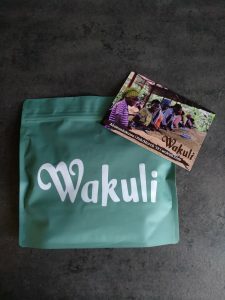 Instead of telling a lot about the origin of the coffee, I would like you to meet Wakuli.com. 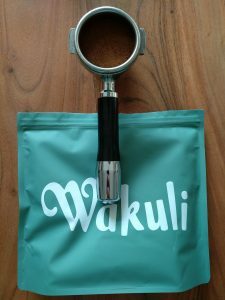 Wakuli is a company that was founded in 2017 by two gentlemen from The Netherlands: Yorick and Lukas. Their partner Daan joined the company in 2018, making the team complete. Yorick was working for a company in agriculture in Rwanda and he noticed that, in the coffee trade, everybody was making money except the farmers. 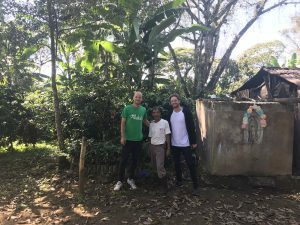 When Lukas visited Yorick in Rwanda they both agreed that there was a simple way to let the farmers earn some money as well: skip the middle man and bring the profit directly to the farmers. 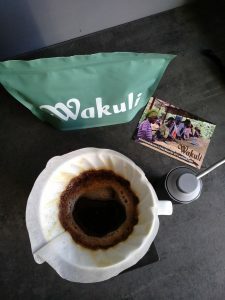 The idea of Wakuli was born and together they started a crowdfunding to get the first shipment of true fair-trade coffee to The Netherlands in august 2018. True fair-trade you say? Yes, true fair-trade. 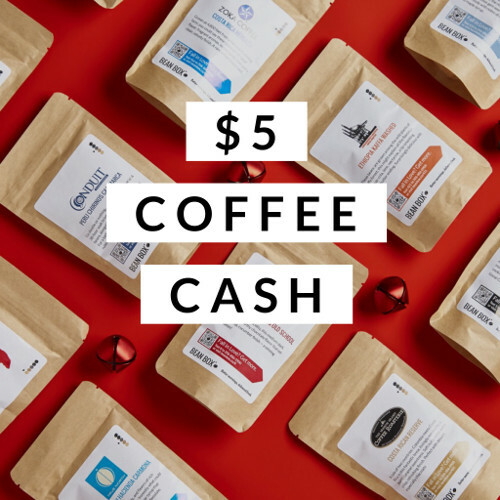 Let’s keep it simple: the price for fair-trade coffee is the price that is paid when the coffee is shipped on board in the harbour (FOB). This means that the farmers (growing and picking the coffee), the washing station (processing the coffee) and the transporters (bringing the coffee from the farms to the harbour) are left out of the price. 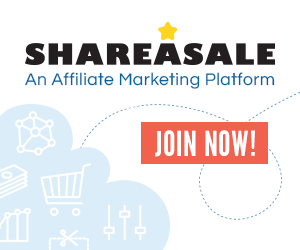 Only the trader sees the actual Fair-trade price and determines how much the rest is getting. Research shows that it is near impossible to determine if this actually happens. So this isn’t actual ‘Fair-trade’ is it? 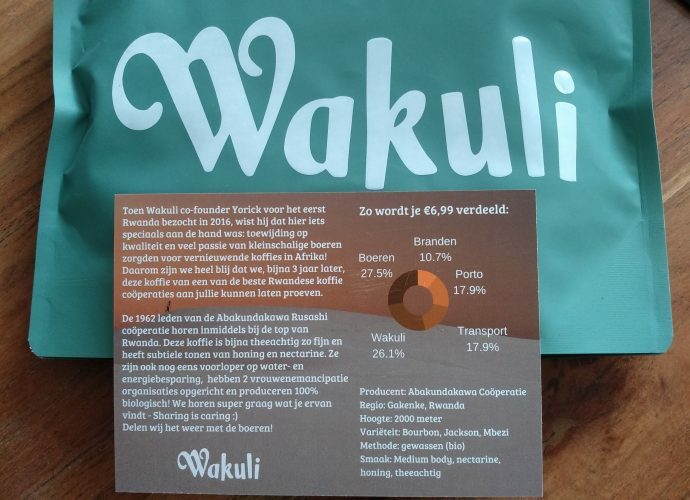 Wakuli brings the coffee straight to The Netherlands and thus the farmers get more money. This results in better education for their children, better healthcare and even a better understanding of how to grow coffee and save the environment at the same time. Wakuli makes it their goal to be transparent about their costs and everybody can see where the money go’s. This results in farmers getting a staggering 27.5% of the price per kilo instead of a meagre 7% which is paid by conventional coffee brands. Way to go Wakuli. All this is nice of course, but how about their coffee? Is it any good? Let’s find out! Wakuli – Abakundakawa Rusashi: Opening the package. The Abakundakawa Rusashi from Wakuli comes in a green large bag that hold a degassing valve and a ziplock to keep the coffee fresh. On the front of the package you will find the logo but no further information. On the back there is a Q-code that brings you directly to the site, the origin of the beans and the roasting date. The rest of the information is provided via a postcard that comes with the package. Besides the background information about the farmers and the company, Wakuli provides the cost/profit schedule on the back. Also you will find information about the producer, region, altitude,variety, process and tasting notes. On the front is a nice photo of the actual farmers. When opening the package a sweet fruity aroma comes forth that is accompanied by the aroma of tea and honey. The roast looks even and when tasting a bean I get a sour/bitter sensation with a floral note that makes me think of roses. I start grinding the coffee and notice a smell of sugared tea, citric notes and plum. Wakuli – Abakundakawa Rusashi: The tasting. I’m reviewing this on the filter method and as an Espresso roast. The filter is reviewed on the Hario V60 and Aeropress while the Espresso is reviewed on my ECM Giotto and Fiorenzato F64 EVO grinder. I will start with the filter review. 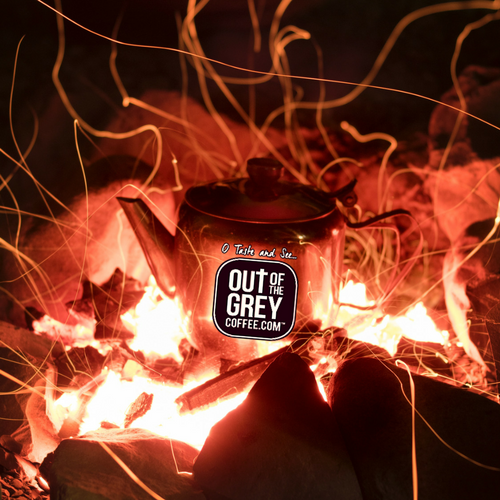 When I start brewing the coffee I get hints of sugared black tea, dark honey and caramelized sugar. These aroma’s linger for quite a while and when the coffee cools off the aroma’s of tutti frutti (dried fruit) comes forth. I could detect a hint of dried apricot and dried nectarines. I take a sip and immediately I notice flavours of black tea and dark honey as I slurp oxygen inside. The sides of my tongue are stimulated with a soft sourness that reminds me of citric fruits like lemon and tea. This coffee starts to come alive when I let it cool off. The coffee gets sweeter and at the same time there are notes of walnut and honey that appear in the back of my mouth. The fruity notes that could be detected on the nose have faded all the way into the background. The aftertaste brings more walnut but honey and black tea as well. As I start brewing the coffee on my espresso machine, the brown marbled coffee flows nicely in my cup. The aroma of the coffee is that of blossom, warm cake/cookies and fruity notes that make me think of the dried tutti frutti again. 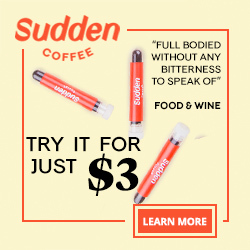 As I take a sip and slurp oxygen inside the coffee opens up and floral notes combine with hints of nectarines and a light sourness. The acidity appears to be alkaline (as if you put a battery to your tongue) and fits perfectly with the coffee. As I swirl the coffee round in my mouth, the sides of my tongue are stimulated with a bitterness that you will also get while drinking tea. The coffee develops even more and flavours of dark chocolate and warm caramel join in. These are also the flavours that remain in the lingering aftertaste. The mouthfeel of the espresso feels oily and smooth. Wakuli – Abakundakawa Rusashi: The verdict. Wakuli has provided me with a omni-roast coffee from Rwanda and it showed two different sides during the review. On the filter, the Rusashi is complex with dark notes. Complex in the sense that the flavours are not easily separated from each other and that there is something to discover each time you drink it. I love how the aroma’s of the filter brew are fruity and sweet, yet in the cup this coffee shows more savoury notes. As an espresso this coffee is a treat to everyone. 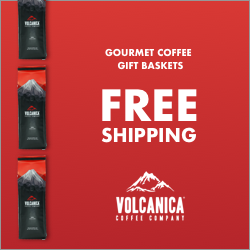 Floral notes, fruity notes, the sweet dark chocolate and warm caramel notes are easily detected by everyone. The transition from floral and fruity to candy sweet will make you want to brew one cup after another until the bag is empty! I guess this coffee isn’t just good for the farmers, it’s also good for your pallet! Beanbox Coffee Subsciption: The best roasters directly at your home adress!